Ever since June 8, 2015, when I read Kristi Hines post on How to Use Google+ Collections for Business, I was intrigued, because I’d never used Google+ Collections before. Thanks to the great folks on the forums, I got an answer that satisfied my curiosity. So I went about the process of creating my first Google+ Collection on my Google Business Page and started posting to it occasionally. This was in June 2015. In the few months since I started my Google+ Collection, I’ve gained over 10,000 followers on that collection and the views on my Google+ Business Page have increased to over 2 million with no advertising spend at all. Update: It’s now over 100,000 followers and counting. Today, I get an average of 100+ new followers a day on my Google+ Collection, with only a few minutes spent on posting new content every day. 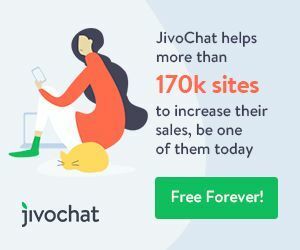 The ability to build a following for free, with very little time and effort, reminds me a lot of the early days of Facebook pages, when it was easy to build a large number of fans with no advertising spend. 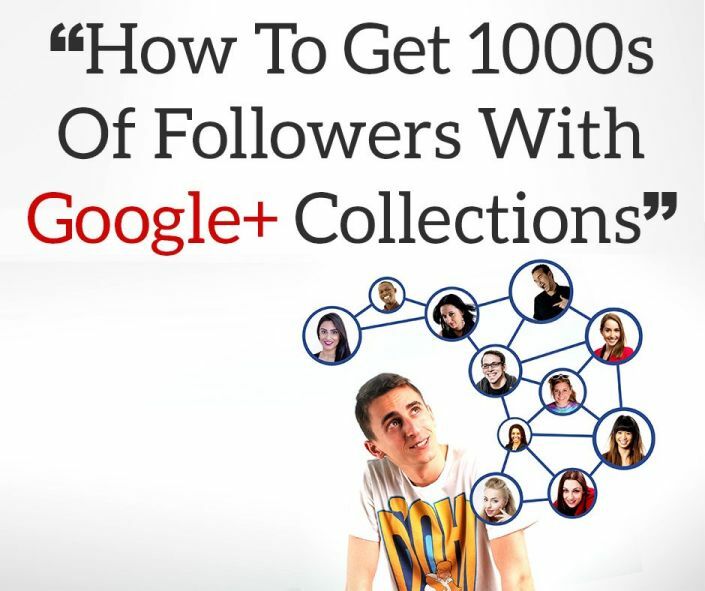 In my journey from former skeptic to current Google+ Collection convert, here are some of the things I have learned about building a Collection that will get you thousands of followers and views. Choose an interesting or popular topic. My collection on SEO, Content & Social Media Marketing is not as creative as some others out there, but it’s a topic that is related to my business services, and is very popular, because everyone wants to learn more about it. 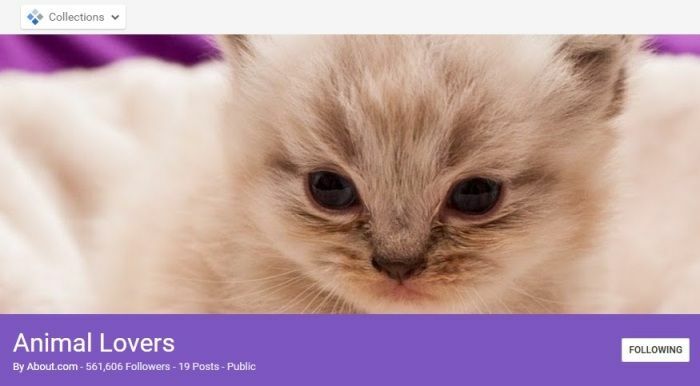 If you create a collection on a really popular topic, like the Animal Lovers Collection by About.com, it will probably require very little effort on your part to grow your following. You can also create a Collection on an eclectic or unusual topic. Google’s Featured Collections has more than its fair share of such topics. For more ideas on the types of Collections you can create, read Kristi Hines’ excellent post on Social Media Examiner. The temptation of creating a Collection linked to your Google+ profile is very appealing, because it’s much easier to manage and post to. If you choose to create your collection on your Google+ Profile, it will reflect the people that are already following you on your profile, and all your followers will see the content you share on your Collection. This seems to be what most people do when they create a Google+ Collection. But here’s why you should create a Collection linked to your Google Business Page instead. 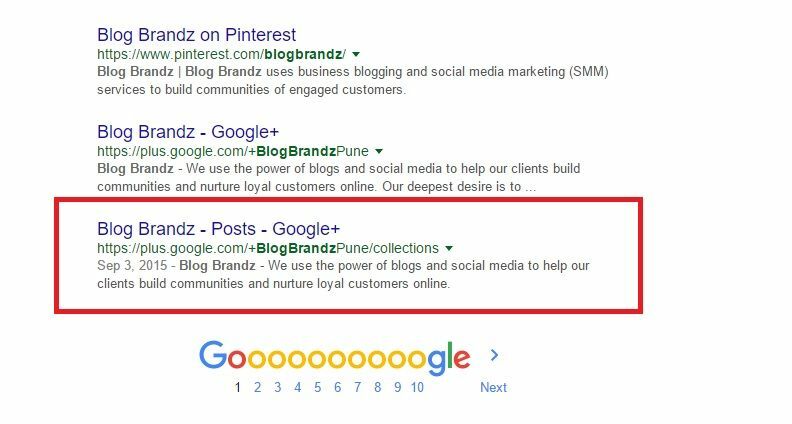 If you create a Collection that is linked to your Google Business Page, you can grow your Business Page followers along with the follower numbers on your Collections Page (the two numbers are not related for Business Pages). When I started my Google+ Collection, I had only 22 followers on my Google+ Business Page. They have now grown to over 400, much slower than the followers on the Collections page (that has over 100,000 followers), but still many times what I would have had if I had never started the Collection in the first place. Also make sure that you create a Public Collection because once you choose the setting for your Collection, you can’t change it later. Another reason why you should link your Google+ Collection to your Business Page is that it will show up as one more listing in the Google search results pages when someone searches for your business name in Google. Your header image is the first thing that potential followers will see in your collection, so make sure yours is attractive. Although Google gives you a few default header images to work with, these are pretty boring. The size of the photo should be 1080px wide by 607px tall. 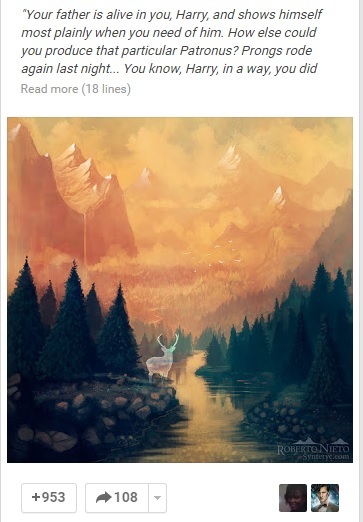 But make sure that your visual elements are in the center, as this post by Dustin Stout recommends because the top and the bottom of the image will be cropped out and 124px on top and 123px on the bottom of the image will remain hidden until a user clicks on the cover to reveal the entire image. See how Rebekah Radice managed to spice up her Collection with an attractive header image. I’ve seen collections with very little content posted on them. This is a wasted opportunity. The more often you post, the more you will show up in your followers’ feeds, and the more likely it is that your content will get a +1 or a share. I’ve seen a definite uptick in +1s and shares on my content since I started sharing my blog posts to my Google+ Collection. 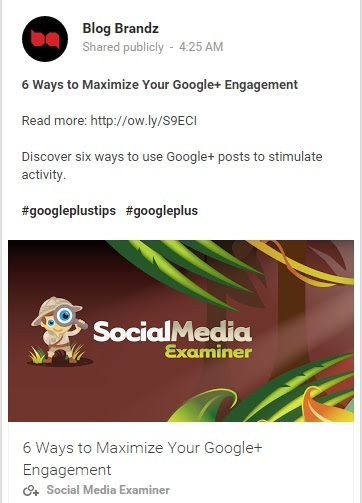 Even though Hootsuite allows you to post to your Google+ Business page from their dashboard, the reason I recommend you post manually is that you need to be able to add formatting and hashtags to your post. 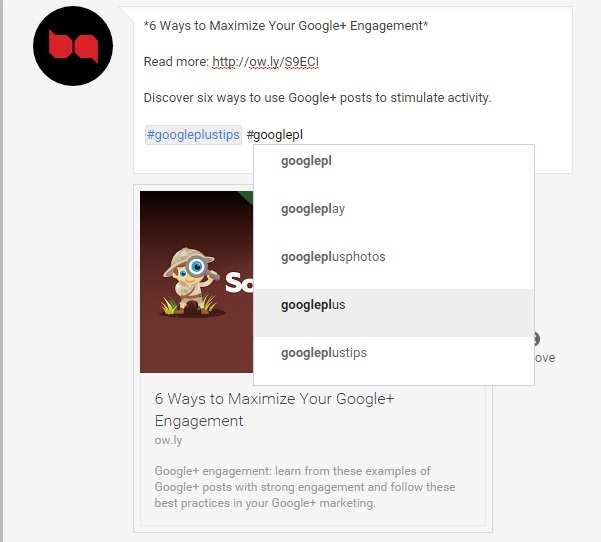 This will improve the readability and discoverability of your content on Google+. 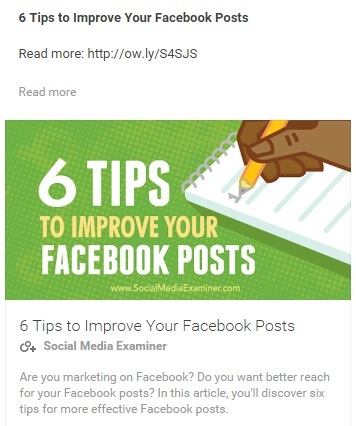 As this post on Social Media Examiner recommends, add a little formatting variety to your next Google+ post. Use a bold title, italics and other formatting tricks. 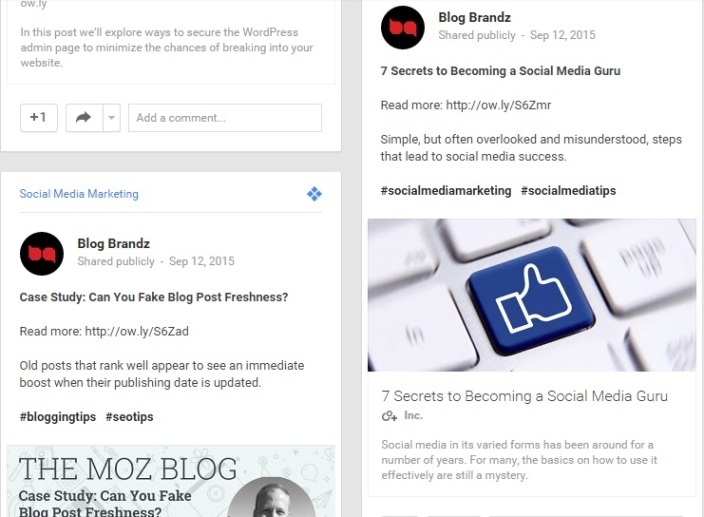 This will improve the appearance of your content in the newsfeed and could boost engagement. This is how I generally format my Google+ posts. And this is how they finally appear in the newsfeed. Don’t forget to sprinkle hashtags liberally. Google will suggest appropriate hashtags as you start typing, but think of related hashtags and add them too. For instance, in the post above, I could have added #socialmediatips and #socialmediamarketing as related hashtags. Remember also, that you can go back and edit your posts. So if you want to add hashtags after you’ve already posted it, you can do that at any time. Don’t make your Google+ Collection self-serving. I add a lot of posts from Social Media Examiner, and other blogs I love, on my Google+ profile. Not all my posts are strictly about social media marketing, but they’re on related topics, like SEO and blogging, that I love reading about and that my followers seem to enjoy too. Sharing third-party content tells your followers that you’re aiming to become a useful source of content on a specific topic, and are not all about promoting your own content. 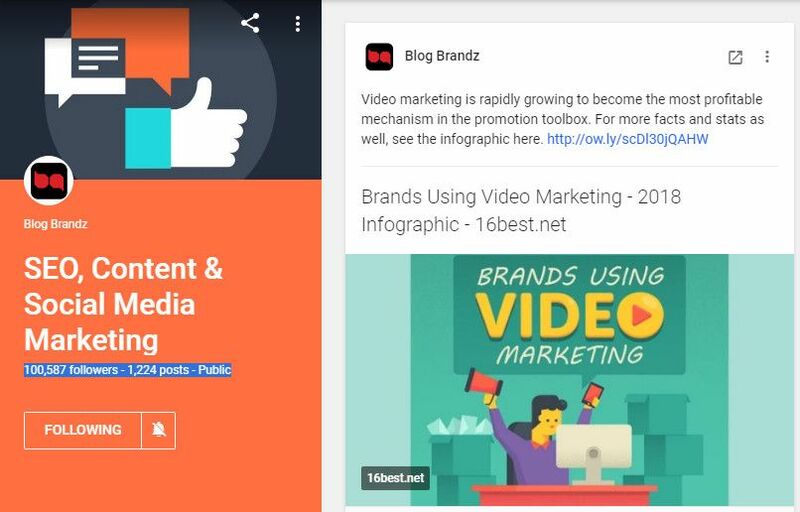 When you share posts from your own blog on your Google+ Collection, make sure that your blog has open graph metadata and images that are optimized for sharing on all social media channels, so that they look good in your Google+ newsfeed. If you’re a business working with a limited marketing budget and don’t want to spend it on the diminishing returns of Facebook marketing, a Google+ Collection (or two) is the perfect option for you. It’s free and requires just about 5 to 10 minutes of your time every day to grow your followers, increase your +1s, shares and visibility of your Google Business Page. If I’ve managed to build a growing following of 10,000+ on my Google+ Collection in just a few months, I’m sure you can do even better. There’s no time like the present to get started on your Google+ Collection and build a community that likes and shares your content. The effort is minimal, and the rewards are worth it. If you found this post on Google+ Collections useful, please share it on Twitter by clicking below. Priya that’s awesome! Totally new to Collections but I just created my Blogging from Paradise Collection while reading this post and following your steps. Stunning how easily one can connect with many interested folks by taking simple steps to grow your community. I knew nothing about this idea, yet in 10 seconds I started creating one….now for the major league, eye-popping header of my laptop in paradise, along with the helpful content shared. Fab tips, thanks Priya! I’m adding new collection in my google + account but am not getting the follower. So now i will work on the info that you provide in this post and i hope i will got some followers. So thanks for sharing this post. Good luck with building your followers. Let us know how these tips helped you. How do i create a collection from the business page? i can do it frpom google plus but not the business page? How do i create a collection from the business page? i can do it from google plus but not the business page? You’ll find instructions on how to do that in the article here. It’s really helpful for most of us. May I know how can I place collection widget on our blog. Vinay, there is no way to place a collection widget on the blog. At least, I have not found it yet. If you manage to find it let me know. Just found out about Collections today. I think it’s similar to Pinterest board. A question for you. If I have to post my blog post to G+, should I post it on my Google+ page (posting here only till now) or Google+ Collections (just found out!) ? Or make 2 posts both on page and collections? Thanks for your tips. Thanks for the feedback, Rajan. I recommend posting twice – once to your Google+ page and once to your Collections page. Hey , thanks a lot for this article .I’m really interested in driving traffic to my new website and google plus seems to be the right alternative to facebook and other social networks where competition has become very high ! Yes, it’s sometimes good to be in a space without too much competition. Helps to get noticed faster. Hi priya, thanks for the insightful posts regarding how to grow our social media page (I believe it applies to websites too). I’m currently posting on my Google+ personal profile only. Without any collections in it. I think I’ll be starting my collections ASAP. 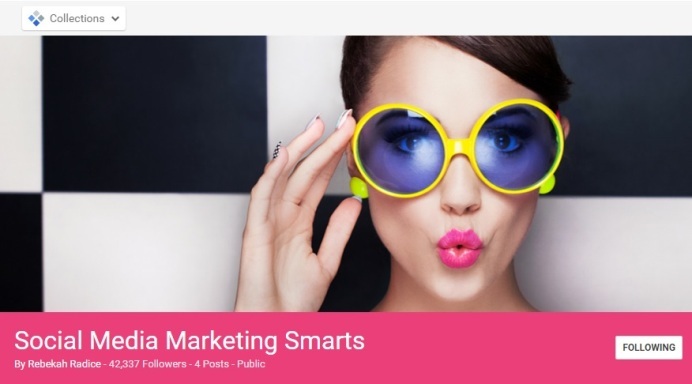 Yes, it’s a good idea to post on your Google+ page. You don’t even have to do it manually. I post to my Google pages from my Hootsuite dashboard.